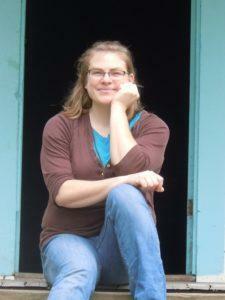 Today, I’m happy to have fellow MRP author, Sara Foust as my guest. She shares a wonderful message of Hope that I know you’ll be blessed by as much as I was. 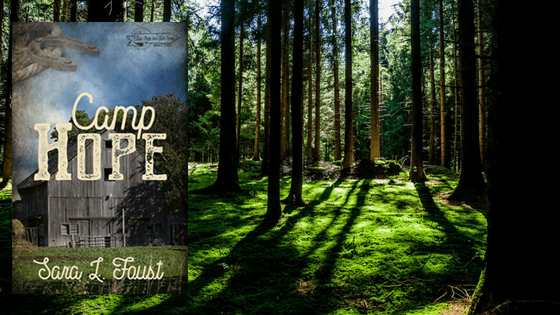 There’s also a Giveaway (US addresses only) ~ a print copy of her recent release, Camp Hope. So stick around and leave a message to unlock several chances to win! I have been in a season of life that is incredibly challenging. God has given us “big” jobs to do for Him in the past. We became parents to three beautiful girls. We’ve been foster parents. Started homeschooling. I quit my “guaranteed money” job to write full-time. We adopted our foster children. I went on a 2-week mission trip to the Philippines. But this last calling He has given us, has almost broken my resolve. When our son received his autism diagnosis in late May at the age of 2 ½, though I saw it coming, saying it out loud for the first time was one of the hardest things I’ve ever done. He is the same child he has always been, but for the first time I started wondering what his future would be like. Would he ever be able to live independently? Will he ever be able to love and have a wife? A family? Will he ever understand what is safe and what isn’t (trust me, this is a big issue with a toddler and an even bigger one with an autistic toddler!). I’ve learned along the way that if I utter the words, “I will never do that,” God has a way of making that exactly what happens in my life. But when I asked Him to please not send us an autistic foster child, I thought He would respect that request. He didn’t, and at first I wondered why. Why us, Lord? Why me, Lord? Isn’t this a dangerous pitfall to get into! I am so very thankful that God has shown me over the last few months just how wonderful our little awesome autism boy is. He is intelligent, affectionate (yay! ), and adorable. And he has taught me a lot about myself in the few years we’ve been privileged to be his parents. I am tough. I am resourceful. I am capable of learning new tricks, even though this dog gets older every day. I am patient (bet you never thought you’d hear that, Dad!). And, most importantly of all, I’ve leaned harder on my hope in God than ever before. He is the one thing that gets me through the tough days and helps me take those calming breaths that I need to keep going. In my newest novel, Amy has taken in her first foster child, Mattie. When Mattie is kidnapped, Amy can’t sit idly by and decides to take off on horseback into the wilderness of Royal Blue, Tennessee. She has lived most of her life doubting that there is any point in being hopeful, so she can’t rely on the police or prayers to bring Mattie home. She feels like God left her a long time ago, and she doesn’t think He cares enough to help her heal from the scars of her traumatic childhood. Oh how wrong she is! 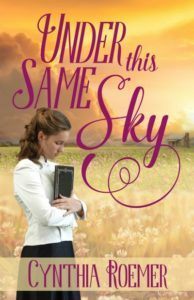 It was a privilege to write a character struggling with her hope in God, because it allowed me to weave in kernels of truth I’ve discovered in my life. God never leaves us nor forsakes us. And no matter how many “why” questions there are, there is always hope in Him and His good plan for us. I hope (see what I did there?) my readers will see this truth while enjoying the second story in the Love, Hope, and Faith Series, Camp Hope. 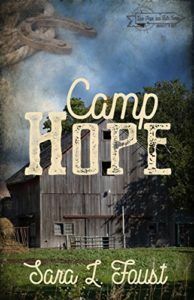 Sara is a multi-published, award-winning author who writes Inspirational Romantic Suspense from a mini-farm in East Tennessee, where she lives with her husband and their five homeschooled children. She finds inspiration in her faith, her family, and the beauty of nature. To learn more about her and her work or to become a part of her email friend’s group, please visit www.saralfoust.com. 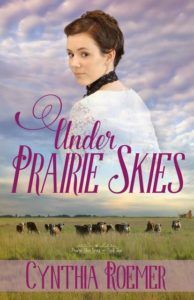 **Read how God works in the lives of Cynthia’s characters in her Inspirational, Historical Romance (Prairie Sky) Series. ~ Now for the GIVEAWAY! Leave a comment below to unlock more chances to win a Print Copy of Camp Hope (US addresses only please)! Thanks for stopping by and entering, Susanne! The best to you in the contest. My favorite outdoor activity is working in the yard. I enjoy being outside too, Vivian. Thanks, Vivian! MY FAVORITE OUTDOOR ACTIVITY IS MAKING S’MORES WHEN CAMPING! THANK YOU FOR THE AWESOME CONTEST! SARA IS A GREAT AUTHOR! THANK YOU CYNTHIA. Yum! S’mores! I love sitting around a fire on a cool autumn night! Thank you for the chance! I love camping and fishing! Sounds fun! Thanks for entering, Sarah! My favorite outdoor activity is walking! I’m a walker too, Caroline! Love being out in God’s creation. We like walking too! There is a beautiful little path over at Norrus Dam State Park that is our favorite. I don’t often get the chance to fish or camp, but love walking around lakes and enjoying the scenery. Thanks, Sarah! It was a false assessment and it turned out that he learned differently than his classmates. And of course there was a classification for that too! It was a rough road through childhood. Your book sounds very good, and I’d love to read it. Thanks for sharing your experiences with us, Linda. God bless! I think it was so much harder to raise a kid years ago with a “learning disorder.” There are so many resources nowadays. I’m glad you stopped by. Thanks!